Do yourself a favor and mix yourself one of these right now. Through all of my years of enjoying cocktails, this is the one “complicated” drink that I’ve gone back to time and time again. I try to stick with a max of 3 ingredients in my typical routine, but this one is just so damn delicious. It’s even easy to remember the bulk of the recipe without having to reach for a phone or book. 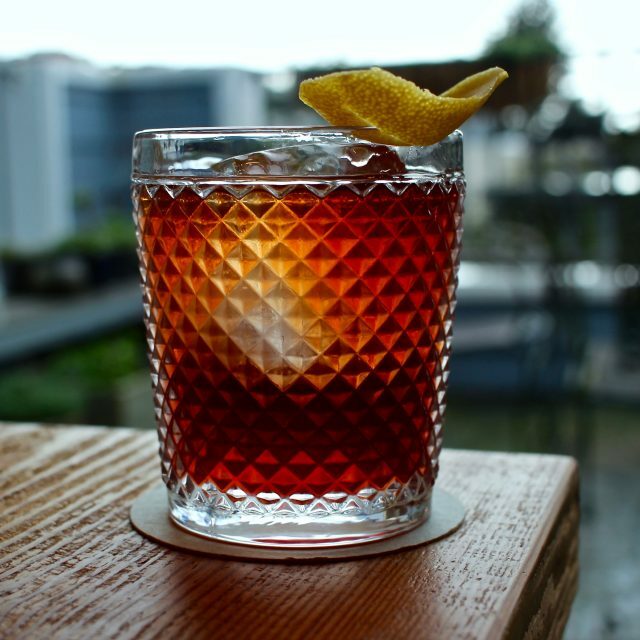 Equal parts rye whiskey, cognac, and sweet vermouth. 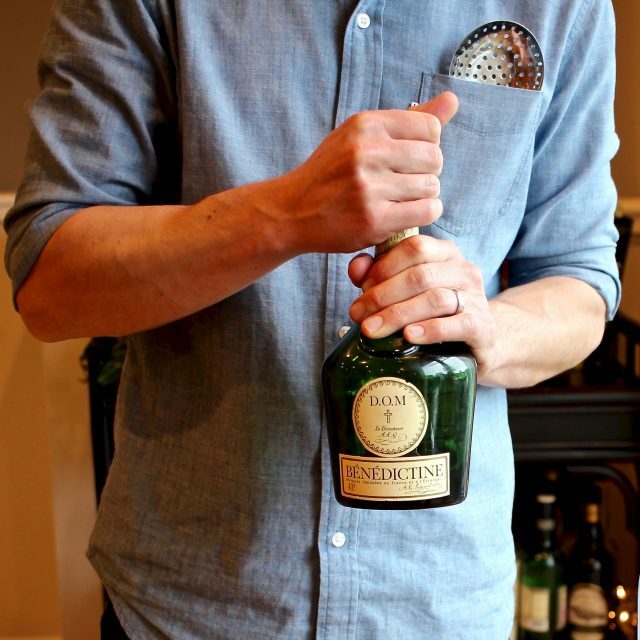 A touch of Benedictine (after you’ve familiarized yourself with this herbaceous liqueur, you’ll know that you don’t want more than a barspoon or ¼ oz in nearly any cocktail,) and 2 dashes each of my favorite bitters. 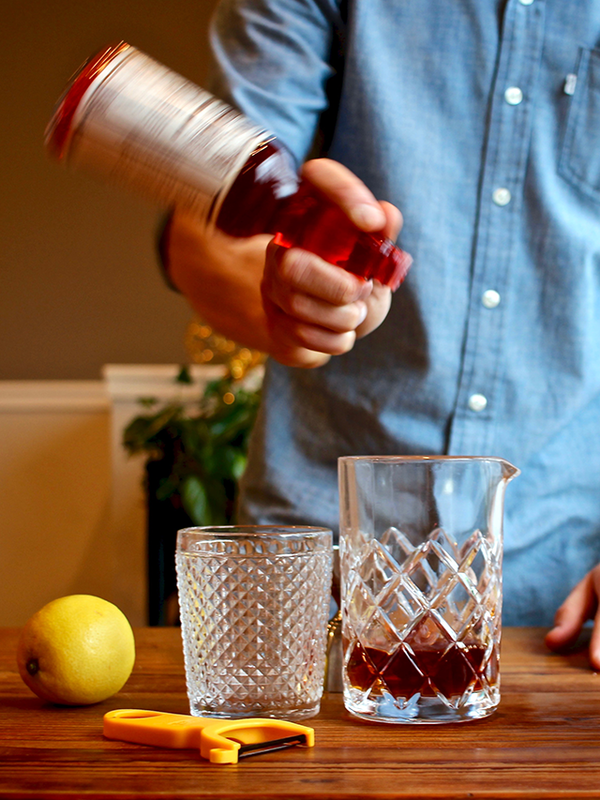 It’s the perfect marriage of a Manhattan and a Sazerac cocktail. With Mardi Gras right around the corner, now is the perfect time to enjoy this classic drink which draws its origin back to 1930s New Orleans. Put on some brass band music like Dirty Dozen Brass Band and transport yourself right into the heart of the French Quarter. And the next time that you find yourself in New Orleans, be sure to head over to Hotel Monteleone’s Carousel Bar and order their Vieux Carre. 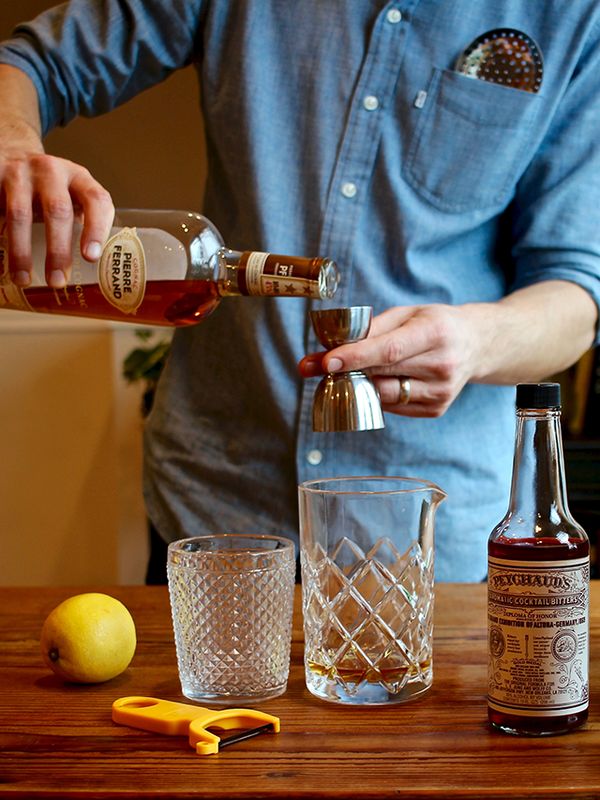 Add all liquid ingredients into mixing glass or directly into an old-fashioned glass. Add ice and stir for about 15 seconds to chill, dilute, and combine all ingredients. 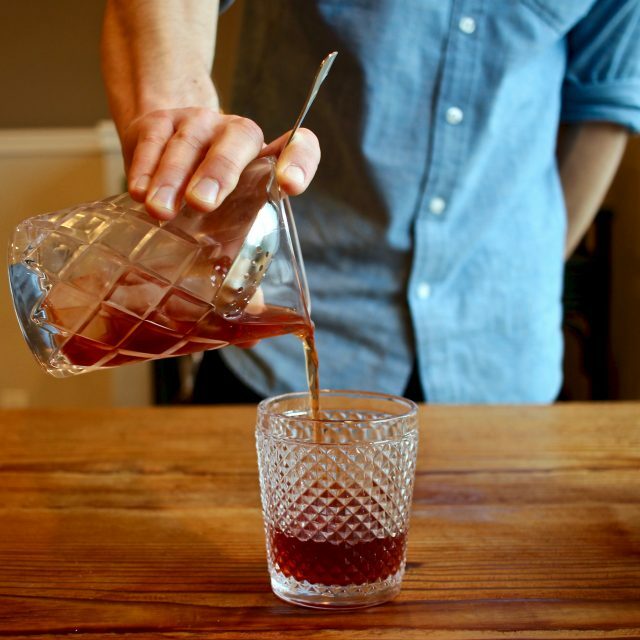 Strain into the glass and add a large ice cube. Squeeze the zest of the lemon, skin side down, to add the oils from the skin, and drop into the drink.